Amazing 802 MAMILLA aprt with stunning VIEW! BRAND NEW PENTHOUSE AT 7 KOOK! VIEW,GYM, SECURITY! Large Waldorf Astoria holiday rental - Great for families! One of a kind penthouse in the heart of David village! 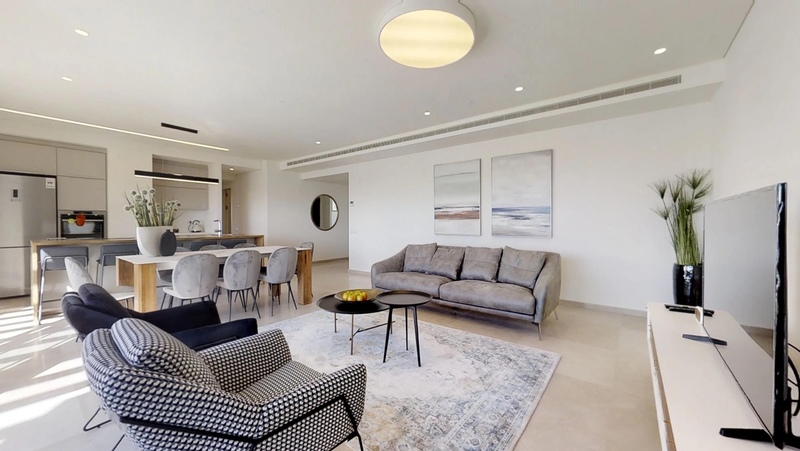 Located in the new magnificent Mamilla complex, just above the new shopping center and across the street from the David Citadel Hotel, this apartment boast of being in the most luxurious neighborhood of Jerusalem! Situated on the 4th floor of a new building, overlooking spectacular views of the old city, with 3 bedrooms and 2 baths, this stunning vacation apartment has it all! It offers 120 sqm of fabulous living area, bright and comfort! Living room with exit onto a balcony with view, Equipped & modern kosher kitchen including all appliances and dining area. 3 bedrooms and 2 baths which include a light-full en-suite bedroom where you can enjoy a lovely private balcony facing the famous view of the walls. Each bedroom has 2 twin beds that can be connected or separated. main bathroom with bathtub. Fresh linens & towels, washer/dryer, dishes and cooking utensils, Free Wifi and TV, private parking! The apartment will be clean and ready for your arrival and our management will do everything possible to ensure that your stay is enjoyable and unforgettable! Renting this apartment will let you enjoy a great vacation rental in the most magnificent area close to the Old City. 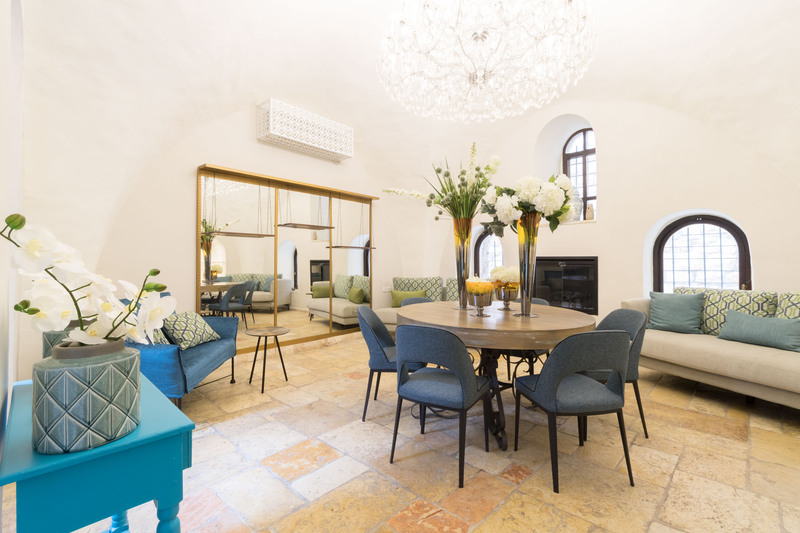 Revel in this brand-new, breathtaking vacation apartment on the ritzy Mamilla bloc, opposite the Waldorf Astoria Hotel, an easy walk from the Old City of Jerusalem! The residence boasts three spacious, fully-furnished and equipped luxury suites + bathrooms with all the comforts and amenities of a 5-star hotel! Enjoy the benefit of privacy for your family! Call now to book your next vacation and enjoy our trademark excellent, friendly service! Discounts available for long-term leases. Located in a superb location near restaurants, pabs, coffeshops, 1 minute from the Mamilla mall, the city center and the old city. 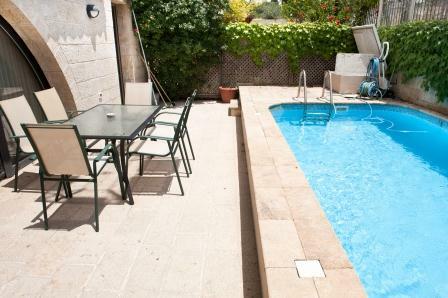 Enjoy vacationing in this spacious and charming rental with autenthic Jerusalem stone style. Beautifully renovated duplex with 2 bedrooms and 2 bathrooms . Our guests will enjoy a large relaxing terrace, comfortable and tastefull furnishings & equippement. 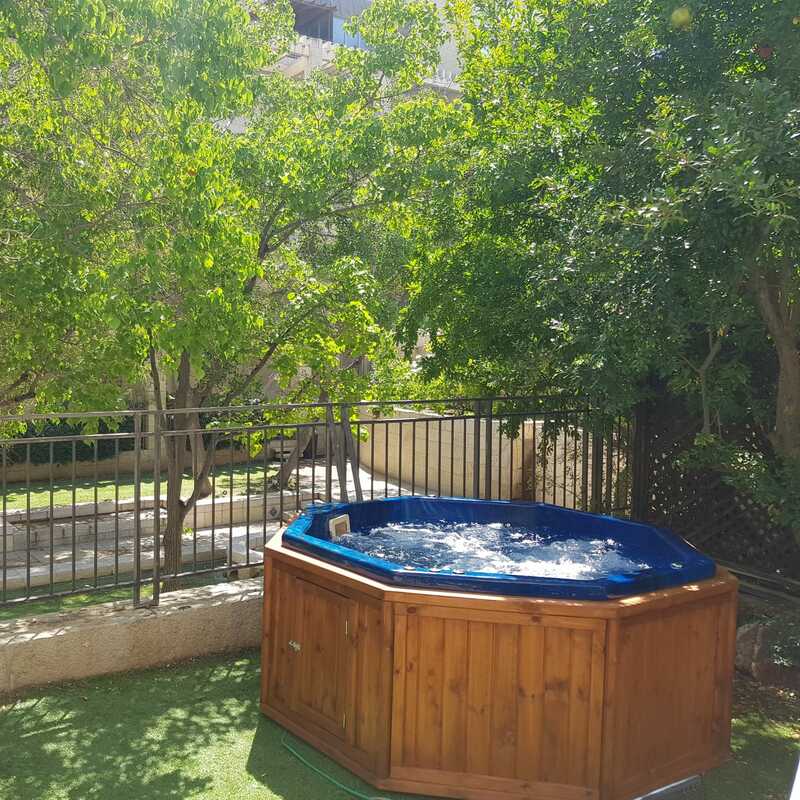 Delight in this exquisite, newly-renovated vacation home in Talbieh, Jerusalem, a glamorous neighborhood melding superb location with pastoral greenery. • SPACIOUS DINING ROOM AND LOUNGE • LOVELY 100- SQ. METER GARDEN AND SUKKAH • 3.5 BEDROOMS, CAN ACCOMMODATE UP TO 7-9 PEOPLE. + DRYER • WIFI • CABLE, TV • TOWELS AND LINENS PROVIDED! 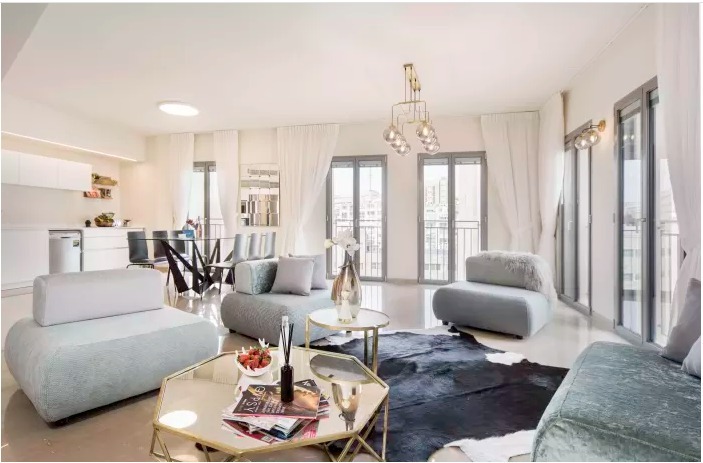 Stay in this AMAZING designed 3 bdrs, 2.5 bths apartment magnificently located in the new Mamilla Alrov residences! 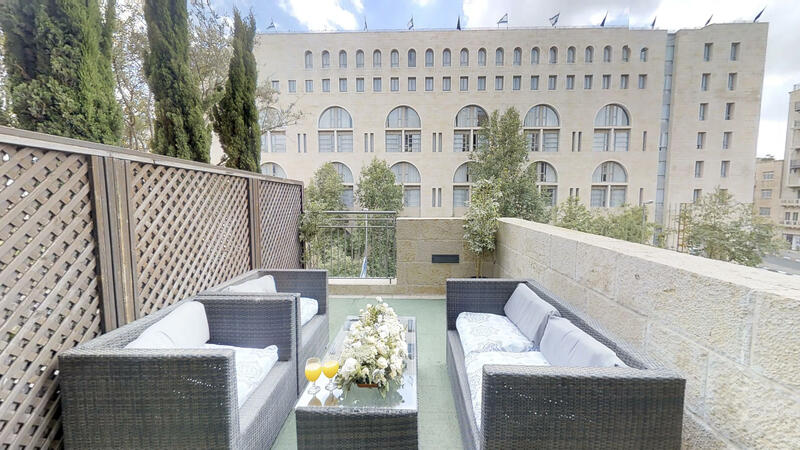 Enjoy 150sqm of luxury living space & a large private terrace facing the breathtaking view of the Jerusalem walls! This is the best location ever!While the Mamilla shopping center is right under the apartment, the Jaffa gate and old city are whithin a short walking distance as well. The city center Rehavia neighborhood and the great synagogue are few minutes away from you! 2 ensuite bedrooms, one with shower and one with bathtub and an additional powder room for guests. One of the master has exit onto a lovely balcony facing the David citadel hotel. The spacious living room & dining area are tastefully furnished into the highest standard and comfort possible. 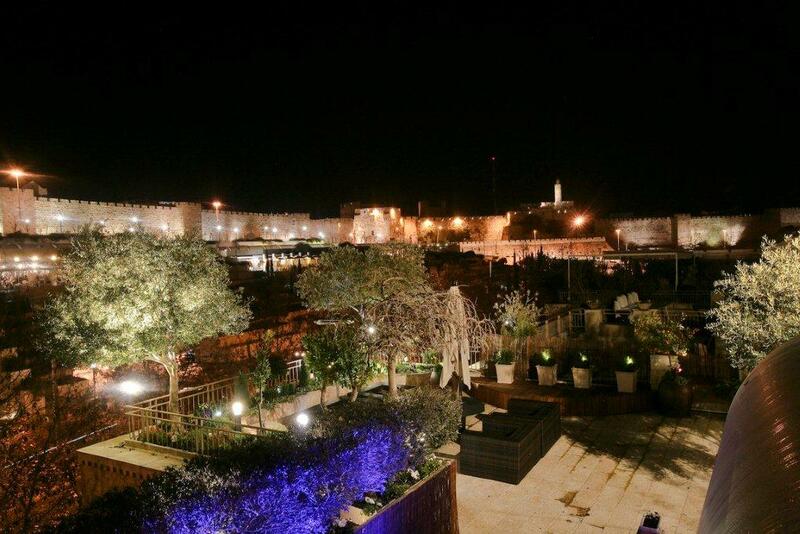 Fell free to relax at the large terrace and enjoy the amazing views of the old city! Enjoy our fully equipped kitchen including all amenities and utensils. Dont turn around the city looking for parking... While renting the apartment you will get a private parking space for your stay! Looking forward to hosting you in our vacation apartment specially designed and fully equipped to make your stay the most comfortable possible! In Jerusalem’s historic Mamilla neighborhood, the spacious 2-bedroom Mamilla Boulevard II vacation apartment invites you to explore a new world. The apartment is located only a 7-minute walk from the Old City of Jerusalem, with its ancient sights and stunning Jerusalem stone. The Mamilla pedestrian mall is just outside your door, and the panoramic promenades and famous windmill of Yemin Moshe are within an 8-minute walk. Nearby public transportation, including multiple buses and the speedy Jerusalem light rail, gives you full access to the rest of the city. Our local interior designers have created a space with gorgeous views and Middle Eastern sunlight. Picture windows line the walls of the living room, the dining area, and the bedroom, overlooking Mamilla’s Jerusalem stone buildings and iron walkways. 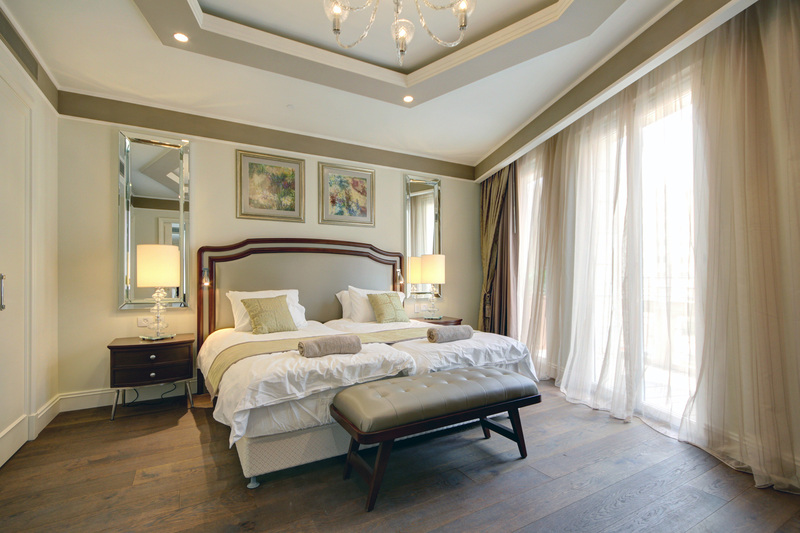 A state-of-the-art kitchen, 2 palatial bedrooms, and 2 double sofa beds give you lots of room to spread out in style. Premium amenities include free WiFi, cable TV, high-end toiletries, hotel beds and linens, and a Nespresso machine. With dazzling interiors and unparalleled views, this apartment will be your family’s home away from home. THE BEST LOCATION IN TOWN! Across the street from the David Citadel hotel, minutes away from the Jaffa gate and old city and right above the MAMILLA MALL. Luxury apartment, fully-furnished specially-designed to accommodate 4-6 guests! 2 Bedrooms, 2 bathrooms ,equipped kitchen and spacious living and dining room ! Enjoy luxury accommodations for 6 and pay less than 1 hotel suite! 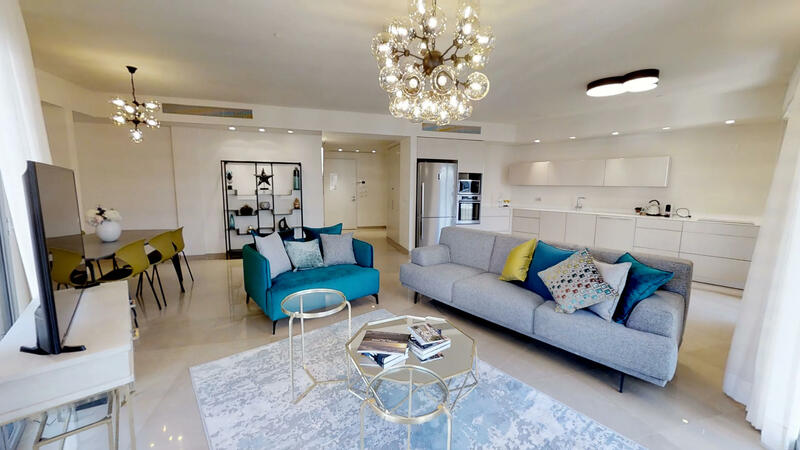 Located in the new magnificent Mamilla complex, just above the new shopping center and across the street from the David Citadel hotel, the Waldorf Astoria and the Mamilla hotel, this apartment boast of being in the most luxurious neighborhood of Jerusalem! Situated on the 2rd floor with Shabbat elevator, with 2 bedrooms and 2 baths, this stunning vacation apartment has it all! It offers 120 sqm of fabulous living area, bright and comfort! Spacious living-room and dining area facing the Mamilla avenue! Equipped & modern kitchen including all appliances and dishes. Beautifully designed and tastefully furnished to the highest standard. You will get: Fresh linens & towels, washer/dryer, dishes and cooking utensils, free WiFi &TV, A/C and more.. Similar to a 5 star hotel room, the master bedroom has 2 comfortable beds with option to pull out two other beds , a WALL TO WALL closet and an en-suite bathroom with bathtub & toilet. The 2nd bedroom offers a big closet and a large double bed that can be separated into 2 single beds. Additional bathroom with shower and toilet in the hall. Air conditioning and heating, completely soundproof. all amenities for Shabbat like hotplate and urn. Secured neighborhood, private underground parking with direct access to the apartment from elevator! 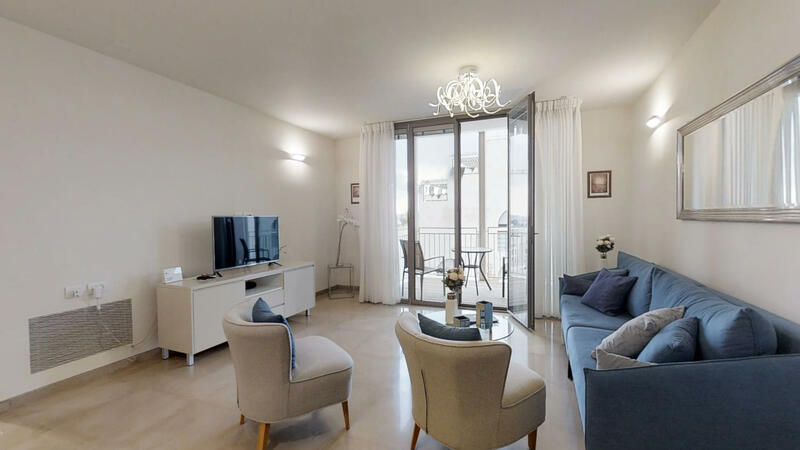 The location: 5 min walk to the old city and 10 m to the Kotel, 5 min walk to the city center 1-6 min walk to famous hotels as the King David, the Citadel, The Waldorf Astoria, the Mamilla hotel as well as the Inbal. 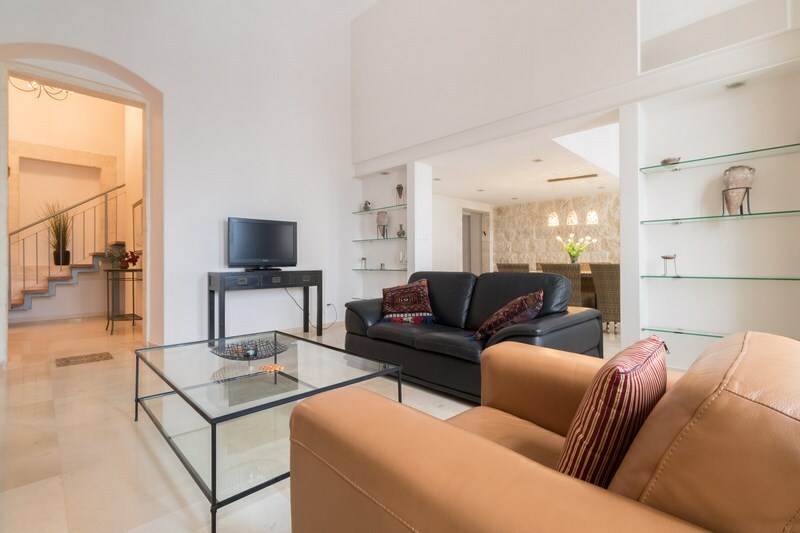 The apartment will be clean and ready for your arrival and our friendly, courteous representatives will accommodate your needs to ensure an enjoyable,luxurious and unforgettable stay in Jerusalem! Don't hesitate, Book it today! ALL NEW FURNITURE !! BEST LOCATION! AMAZING VIEW! This modern penthouse is located in the 8 floor of the luxurious 7 kook st luxury building in the heart of the city center! few steps from all tourist attraction, Mamilla, the old city & machane yehuda market . You will enjoy a spacious living room, equipped kitchen up to 9 guests. 4 bedrooms, 2 Bathrooms, 8th floor with elevator ! Our local Guest Service team will be available for any matter during your stay. We will contact you prior to the end of your stay and review your check out time and process.